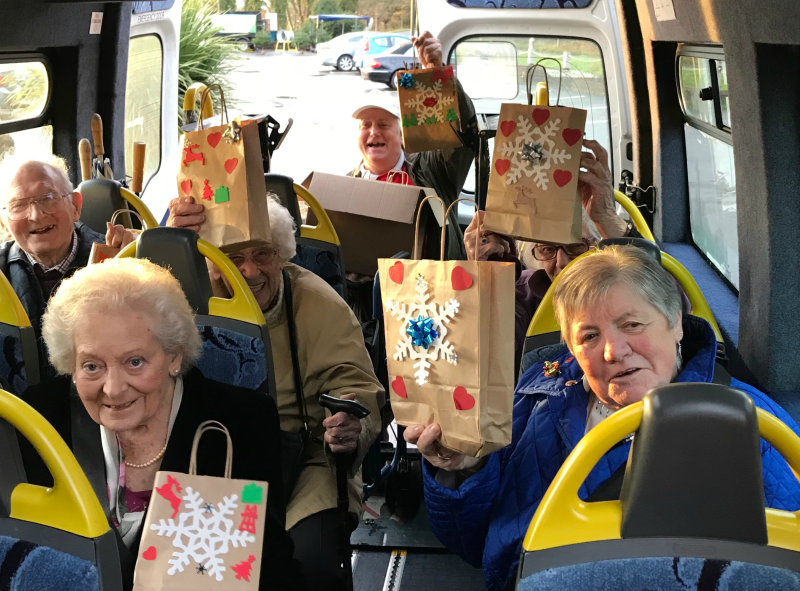 This year, the team at Loveworks delivered a very special Christmas experience for 22 older people, who live in our community – A Christmas lunch and social afternoon with Christmas crackers and presents too at a wonderful setting in Betchworth, the Arkle Manor Restaurant. The event was put on as part of Loveworks’ campaign and appeal, Red Together. The community really have come together to support people in need locally at this very special time of year to ensure everyone can enjoy Christmas. The special day was sponsored by three key corporate supporters of Loveworks: Inter Terminals, Jellyfish Group & Hyundai Capital. We were also supported by the community too, the Meadvale Brownies who very kindly made gifts and our host for the afternoon, The Arkle Manor Restaurant in Betchworth. ‘Having the opportunity to get out and about in the community is really very important for the older people’ says charity officer, Jen Sanderson. ‘Our Christmas event gives people an opportunity to go somewhere different. A chance to dress up, be social, meet new people and enjoy the company of friends. These events help people to continue to be confident and independent whilst also helping both physical and mental well-being. The event was part of a regular club called Loveworks Cuppa Tea who meet every month and are supported by a regular group of wonderful volunteers who help at each session with activities and more. If you know someone who would benefit from the club, please see our website for more information by clicking the link above. Photo caption: We are all going home with such lovely gifts kindly donated from the First Meadvale Brownies.